We have a new entry in our Don’t Be Dumb series. For every criminal mastermind, there are 50 dimwits who can’t even steal a lollipop from a baby. Here’s one of them: this time, a pot farmer who doubled as a bike thief couldn’t keep it in—the bike I mean—and ended up leading the police to his urban illegal farm. There are a few lessons to learn from this story. The Weoley Castle, UK “entrepreneur” was taking a casual ride around town on a bright green Kawasaki Ninja. The thing is; the bike wasn’t technically his. He had borrowed it long term from an unwilling owner (read: stolen it). As any bright-colored sportbike does, it wasn’t long before he caught the local police’s attention. In a panic, the guy tried to hide the bike at his house, before making a run for it on foot. 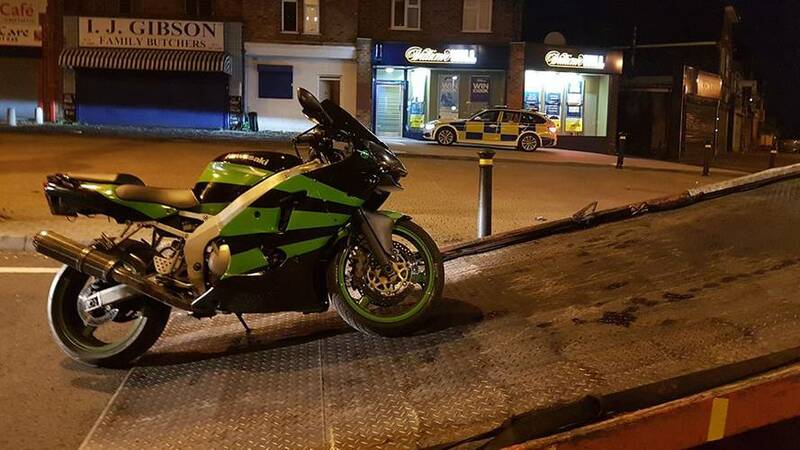 Of course, the officers were quick to find the bike and catch the unlawful owner who they then arrested since the Ninja had a false license plate. That was just the beginning of their night and I bet you the officers didn’t know they were going to hit two birds with one stone. Turns out Einstein here had a bit of a green thumb and that the house he tried to hide the bike in was also his greenhouse where hundreds of healthy cannabis plants were being grown. The police service shared pictures of the heist on its Facebook page with the hashtag #notjusttraffic. Today kids, we’ve learned that if you specialize in illegal home farming, if you steal a bike, or if you’re looking to get double the points by doing both, you should keep a low profile. If you can’t and feel the need to live dangerously by strutting your new ride, try to hide in the woods or under a bridge or something—don’t lead the police back to your drug lair. Just don’t.